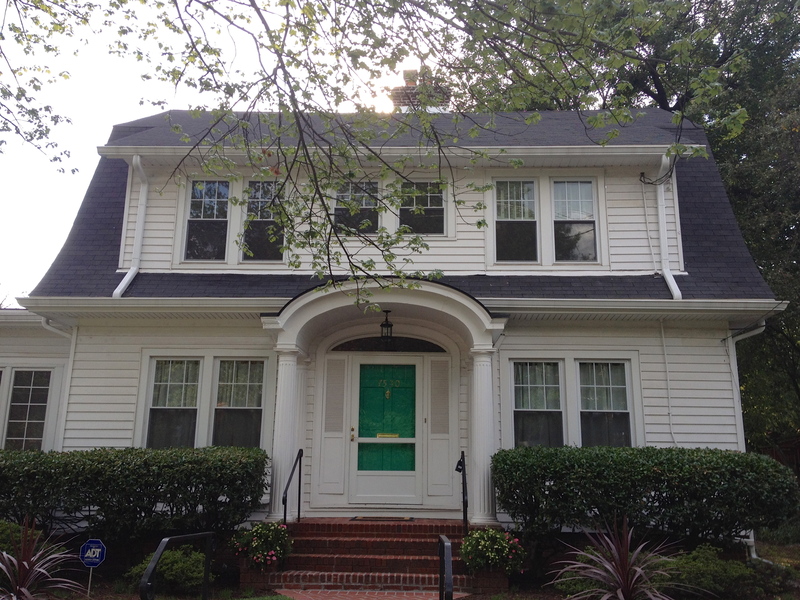 After some pretty dreadful “Kit House Of The Week” posting last week and a week of sad news in the Sears house community, I have a very exciting historic mail-order home to present today. It’s not so much a Grand Dame but rather a First Lady — the Sears “Martha Washington” model in all its grand beauty. 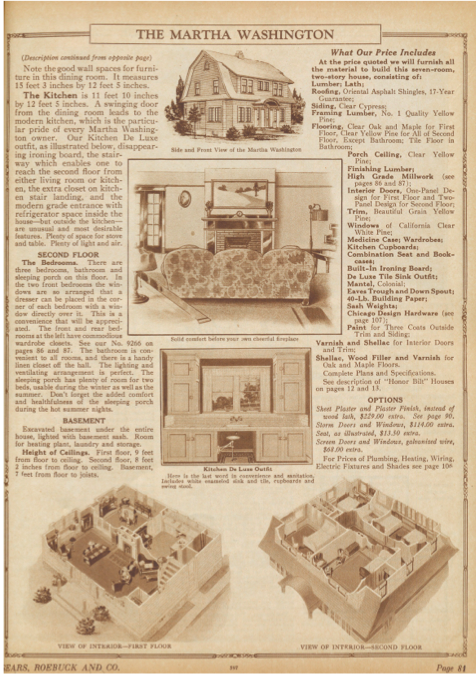 The slideshow with some architectural details below will give you an idea what I’m talking about (catalog images taken from 1925 Sears “Honor Bilt Modern Homes” catalog). Nearly everything you see in the photos here once came by mail in thousands of pieces, packed up in a railroad car. Additional pictures of the property from the MLS that will give more of a look at the house and rooms themselves can be found here. 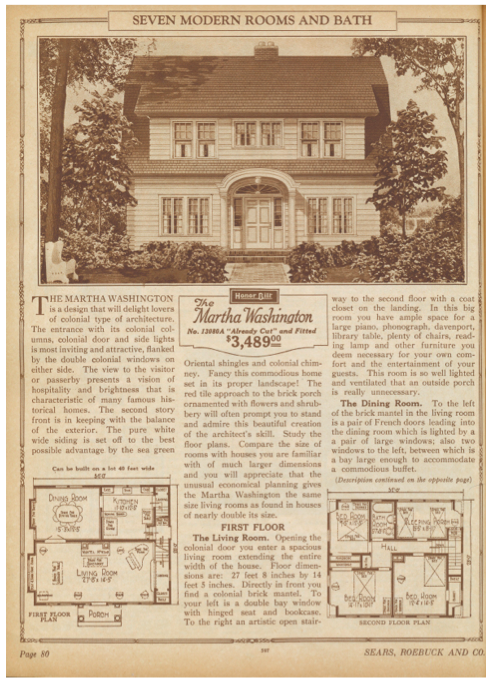 The “Martha Washington,” available for $3,489 in 1925, is listed by Realty Pros for $575,000 — a price that seems an amazing deal for the neighborhood, even if you’re not a fan of historic kit homes. 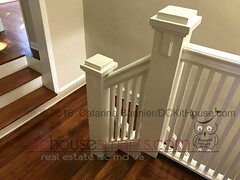 It has 4 bedrooms (including a former sleeping porch) and 1 full and 2 half baths, a sun room addition, a large, unfinished walk-up attic, an open unfinished basement with windows all around and a nice garden. As always, if you’re interested in seeing or buying the house, just let me know! (Additional photos courtesy of MRIS.) 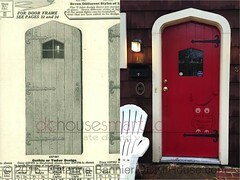 Click on the catalog pages to see a larger version.